To further explore the permanent protection of your land by the West Virginia Land Trust, please complete this form, or download a copy of this form, complete and mail to: PO Box 11823, Charleston, WV 25339. 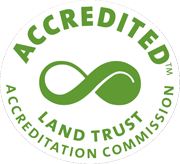 This will be crucial in determining how the Land Trust can help fulfill your needs and goals for your property. Someone will contact you within 30 days of receiving this completed form to advise you of your next steps and possibly schedule a site visit.